As brands galore jump on the back of the Luis Suarez "Bitegate", Snickers has employed its own personal brand of humour to piggyback on the incident. 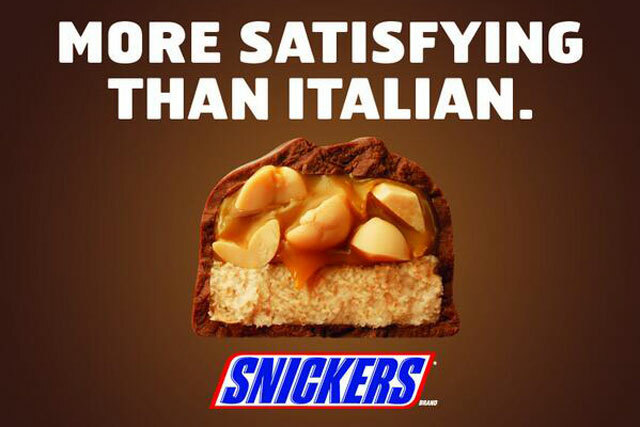 The brand, known for its "You’re not you when you’re hungry" ad campaign, simply tweeted an image of a bitten-into Snickers bar, with the text: "More satisfying than Italian". The flurry of activity came as Liverpool’s striker Suarez allegedly bit Giorgio Chiellini during last night’s World Cup game between his national team Uruguay and Italy.